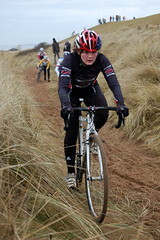 Paul Newnham - Scottish Cycling's MTB Talent Team Coach (and a fine cyclocross rider in his own right) reviews the 2010/11 season. 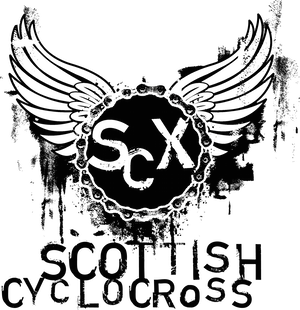 The weekend of the 23rd of January saw the close of the Scottish Cyclocross Season after another bumper year for the SCX race series in Scotland and also great success for the Scottish riders in the British Series. 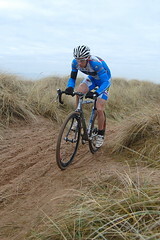 Ross Creber [Cycle Premier / Metaltec] and Katy Winton [Glentress Riders] ran out worthy winners of the Scottish Championship on the testing sand dune course at Irvine in Ayrshire. A full run down of results can be found here. With steady progress of the Scottish series being made over recent years due to the hard work of the SCX and organising clubs, this year saw yet another increase in the field and in the quality of the racing. This combined with a systematic program of coaching for youth and junior riders by local clubs - supported by Scottish Cycling coaches - has lead to a migration down south for the riders to test themselves against the best that the British series has to offer. With twenty one Scottish youth and junior riders present at the British Championship this year, the ambition of young riders in Scotland is now clear and with three riders in the top 15 in the youth boys the results are starting to flow through. Grant Ferguson provided the one Scottish Medal with a well fought silver medal in the Junior boys. At the senior level, two Scottish young guns are starting to really get stuck into the British racing and at the last round of the National Trophy in the Rutland series, Kenta Gallagher and Katy Winton, (both members of the British Cycling XC Performance Program) took huge steps forward in their racing to finish 6th and 5th respectively in the Elite race. For Kenta his reward was selection to ride for Britain at the World Championships on the 29th and 30th of January in St Wendel Germany where he went onto finish an excellent 26th in his first year as an under 23 rider.